Boys & Girls Clubs have been serving Sonoma County youth for sixty years! Many alumni fondly remember their days at the Barbieri Boxing Club in Healdsburg which eventually became the first Club in the County. Every day, our county’s future leaders come to the Clubs seeking Hope & Opportunity from caring adults. What happens next is hard to describe on paper. Somewhere between hours of homework help, character building experiences, and positive relationships with other kids, lives are changed. Since 2008, the Boys and Girls Club of Central Sonoma County has grown from serving 300 young people to over 3,000 young people each year. What were once 3 sites are now 24 sites across Sonoma County. This growth is the outward demonstration of Boys and Girls Club of Central Sonoma County’s commitment to enable all young people, especially those who need us most, to reach their full potential as productive, caring, responsible citizens. 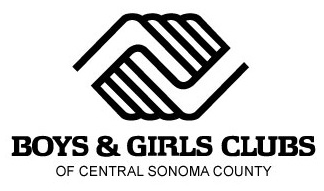 Boys and Girls Club of Central Sonoma County hopes you’ll keep your eye on this growth and invites you to join them in making a difference in the lives of thousands of Sonoma County youth!